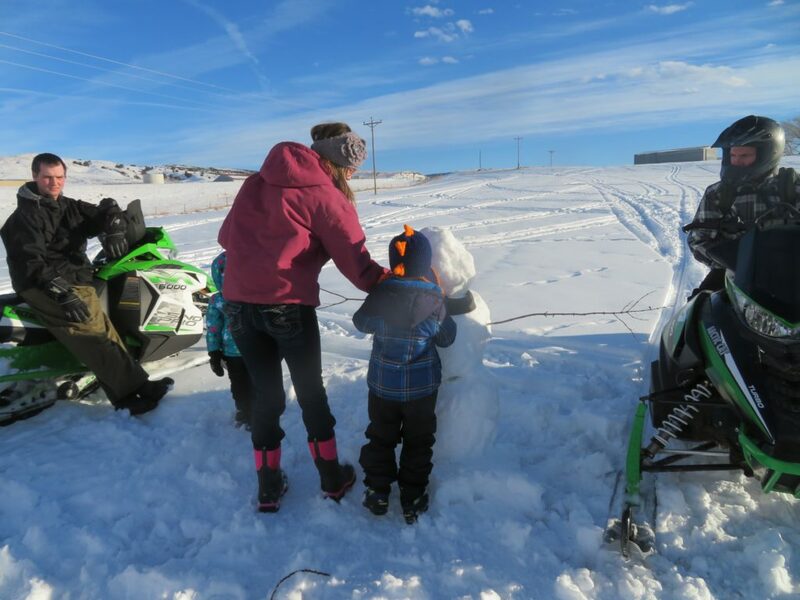 After a quick trip up the mountain, the guys joined our sledding/snowman party. 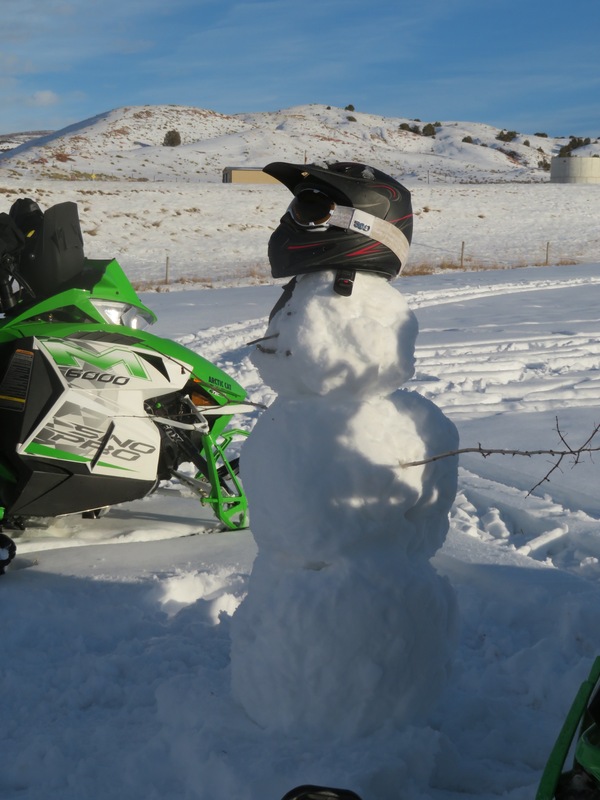 We tried to find Frosty a hat. I was NOT going to donate my new “Burton Construction” hat to the cause. 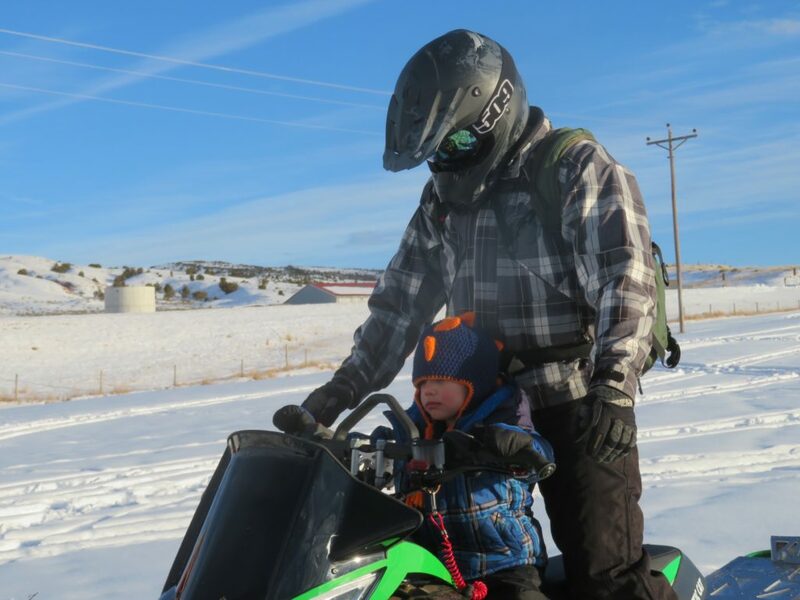 Then it was a quick trip around the field for the little guys and head inside to warm up! and you, as well, Kay! All that beautiful snow and bright blue sky for a play day. 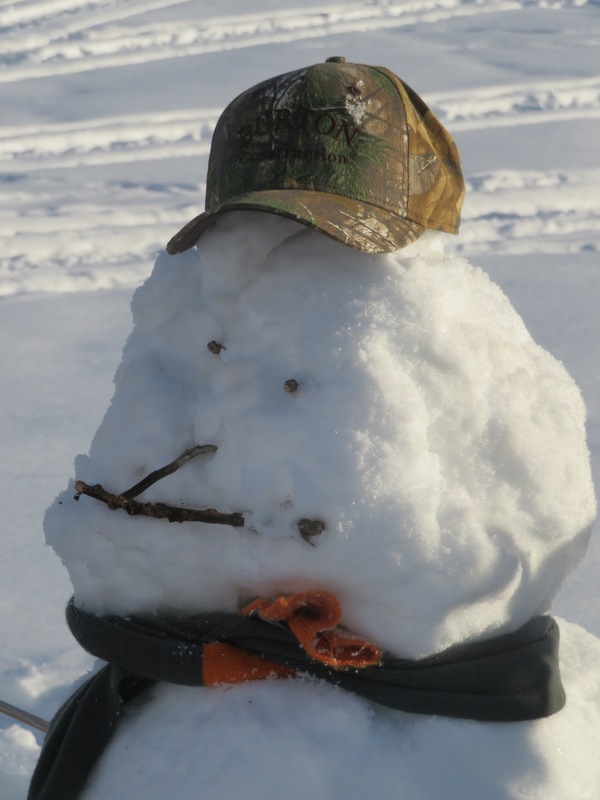 Looks very cold, but the snowman might last a long time with his homemade snow hat. Cute. Have a Happy New Year, with many blessings. 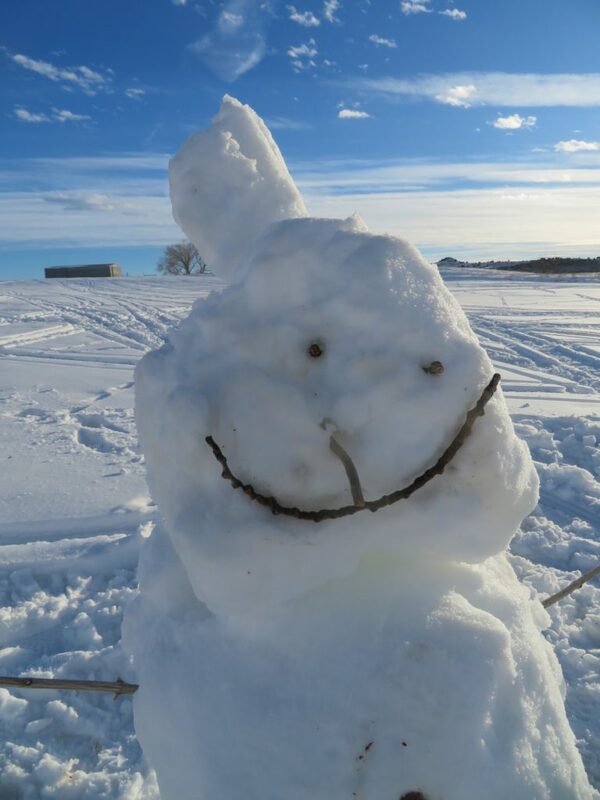 Snowman got 6 more inches on him yesterday… Happy New Year! What wonderful fun! And– I may have said this before? It’s such a blessing for you to have your “grands” in a close proximity to be able to enjoy them. 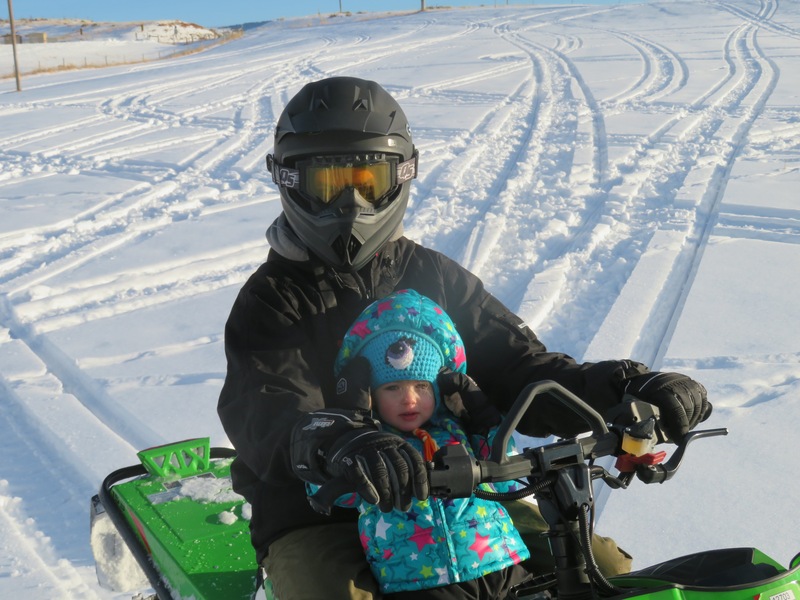 The pictures remind us of wonderful times we had in the winters with our snow machines and all of those travels to Yellowstone, over the Continental Divide, often on Casper Mountain and other places with our (now Texas and Oklahoman’s) kids years ago! Enjoyed these pictures, Carol! What a fun time you all had. I like the part about getting inside to warm up. Happy New year to you and your family Carol. The fireworks looked great in New Zealand and Aus. Few more hours before the London ones and Big Ben chimming in 2017. Will probably miss the New York ones as I hope to be asleep. Will catch them on the news tomorrow. I went to bed 10 minutes early… just worked out that way, didn’t mean to stay up so late! Happy New Year! Happy New Year Carol. May you continue to be richly blessed throughout the new year. Thank you, dear, and you too!